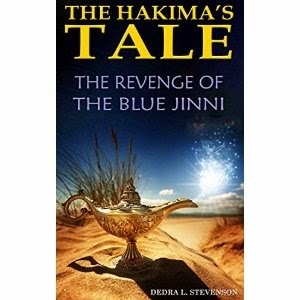 Dedra Stevenson's "The Hakima's Tale: The Revenge of the Blue Jinni" is a novel aimed at teens that truly stimulates the imagination. As someone who was not really familiar with the idea of Jinnis prior to reading, it was incredibly fun to explore the concept through this fictional story. The main character, Phoenix, is an Arab-American girl who is thrust into the limelight because she is the chosen one to protect against attacks from Jinn. Stevenson does a great job with the book's multicultural perspective, keeping this YA novel fun and engaging yet also informative. As a YA book, this would be a great read for teens, but I enjoyed this as an adult. This would be a great read for anyone who thinks they'd like a novel with elements of Middle Eastern folklore.